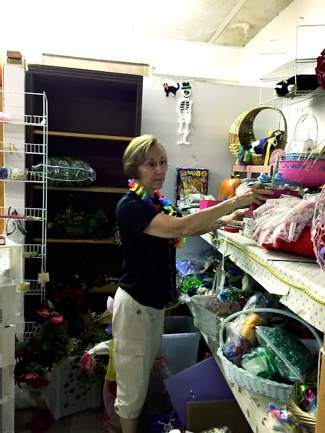 Janet Kleinhardt straightens up a shelf in the housewares room in preparation for todayâs Eagle Valley Community Fund Rummage Sale at Maloit Park south of Minturn. Doors open from 8 a.m. to 3 p.m. with everything in all 14 rooms half off. All proceeds from the sale help support nearly 70 local nonprofit groups. For more information, please call 970-827-9426 or www.eaglevalleyrummagesale.com.